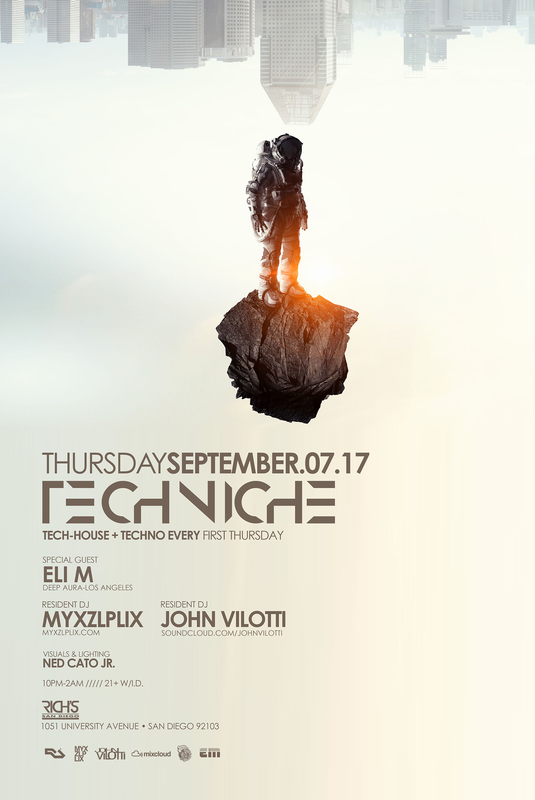 Techniche Travels Deeper Into The Cosmos Expanding on the Tech-House & Techno Sonic Atmosphere . Born in the Czech Republic and raised in the U.K. for 7 years, Eli M currently resides in Los Angeles. She has been involved with music since her childhood. Eli M started DJing on vinyl in 2012 and almost instantly fell madly in love with the craft. She later switched to digital format. Growing up in Europe played a huge role in Eli M&apos;s natural admiration for electronic dance and house music. Her curiosity, passion and motivation for self improvement led her towards the music production route.